The pressure is on and our mendacious politicians, tax-avoiding professional parasites, cravacious business elite and their fellow travellers in the trade union leaderships and academia do not have a clue, so they resort to sniping at each other and nit picking over details of the Imbert budget. Do not be fooled by the disagreements among them: by who engaging in “sterile debate” and which madman is ranting. They are all united as to the goal of making working people and the poor pay for the economic crisis. They disagree as to what is the best way to ensure that they do not suffer any reduction in their standard of living and the only way to do that is to make sure that we pay for their misdeeds, inefficiency, corruption and craven kowtowing before the transnational energy corporations. So there is this big debate about whether there should be devaluation or not. Much “sterile debate” and hot air furiously emitted from the theoreticians at the university and associated with the conglomerates and big banks. Mary King, Daren Conrad, Roger Hosein, Marlene Attzs. Marla Dukhran, Ronald Ramkissoon and others debating critical issues in the glare of the media as public intellectuals should. The only problem is they are debating a non-issue. Whether they devalue in one fell swoop or keep on devaluing chirrip chirrip as they are doing now, the fact of the matter is that devaluation, whether creeping or not, devastates the quality of life of working people and the poor. Some economists call for ten to one; others say devaluation is a waste of time and, given the nature of our economy, will not work. The question is not whether to devalue or not. 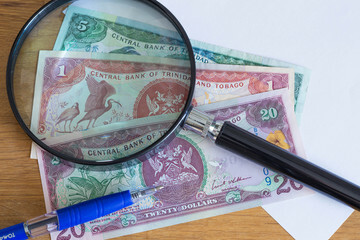 After all the jargon and obscure rationalisations are put forward the fact is that the TT dollar has been depreciating for almost two years now. In October 2015, the TT dollar was worth $6.31 to the US dollar. According to the budget document Review of the Economy 2017, “The weighted average selling rate for August 2017 stood at US$1 = TT$6.7820” and further, “The TT dollar depreciated by 5.7 percent against the Pound Sterling, 7.0 percent against the Euro and by 5.2 percent against the Canadian dollar over the 11-month period ending August 2017." Interestingly those for shock and awe devaluation and those for one for today one for tomorrow devaluation reflect the material interests of two groups dealing in the murky waters of financial speculation. One group favours shock and awe devaluation because they are hoarding large caches of foreign exchange which would shoot up in value in TT dollars and would eliminate the growing black market. The other group wants to play the black market on an ongoing basis, by buying foreign exchange from authorised dealers and selling it at a healthy profit on the black market. It is obvious that all the devaluation talk is just so much smoke and mirrors ole talk designed to distract us from focussing on how we are going to protect our interests as working people and the poor, instead of bewailing our condition and bawling wha’ we go do! So that all the crazy figures coming out of the Central Statistical Office (CSO) claiming that core inflation is at 1.7% and that food inflation is 0.5% makes no sense when the value of your depreciating dollar is reflected in the ever increasing prices we have to pay for food and other necessities. These figureS come from the same Central Statistical Office which claims that at the end of 2016 the unemployment rate was 3.6 % and which the government itself has condemned as inefficient and unable to supply proper statistics in real time. Yet, Imbert, in his budget speech calls these figures “comforting”. The academic economists will argue that we, poor uneducated beings, do not understand the definition of inflation. But we certainly know when our dollar is being stretched to breaking point and how it affects our ability to feed, clothe and educate ourselves, our children and grandchildren. Rising prices by any name you call it are strangling working people and the poor, particularly the 274,756 workers, the National Insurance Board says were at or below a monthly salary of $5, 459.99 per month in 2013. Of course this does not cater for those who have joined the labour force since 2013 or the tens of thousands of workers who are not on the rolls of the National Insurance Scheme. The ruling elites can try whatever they want; the political and economic system is broken and cannot be fixed. In such a situation different groups, sectors, cliques, social classes move to protect their interests. Ruling groups try as much as the balance of class forces allows them to maintain their obscene lifestyles by forcing the working people and the poor to transfer income into the pockets of the ruling groups, thus all the noise about budget measures. The only differences among them are about how best to make the working people and the poor bear the burden. At first they try to convince us that it is in our interests to pay more taxes, suffer the effects of devaluation, accept wage freezes/cuts, pay more in water rates and light bills and accept whenever we lose our jobs that we must see it as a patriotic act. When that strategy fails, they have the armed forces to co-erce us into staying in our "place" as they have done since the days of slavery...if we let them! One newspaper editorial pontificated that the answer is mature leadership. Mature or immature leadership is of little consequence...capitalism is in crisis. If we understand that, we will not be taken in by all the rubbish being spewed by corrupt politicians, avaricious merchants and their professional parasites posing as economists, accountants, consultants, attorneys, trade unionists, insurance smartmen and the like. They try to convince us that their neo-liberal economic prescriptions, IMF-approved of course,are going to “grow” us out of “recession” if only workers would become more productive. They know full well that the latest economic downcycle we are undergoing has nothing to do with productivity (whatever that is) but is a direct result of the drying up of the foreign exchange from the oil and gas sector. As I said in another piece written almost two years ago, “the economic crisis in T&T has nothing to do with productivity, work ethic, absenteeism ...We cannot produce ourselves out of this crisis. When the international energy industry sneezes we catch the flu. We depend for our very existence on the foreign exchange from that industry. So they try to convince us that they are spreading the “burden of adjustment” across all sectors, but they know and we know, the banks are going to intensify digging out people eye with their bank charges and their next to nothing deposit rates coupled with their extortionate lending rates. They know and we know that increased corporation taxes are going to be paid not by the companies taxed, but by the customers and consumers – me and you! 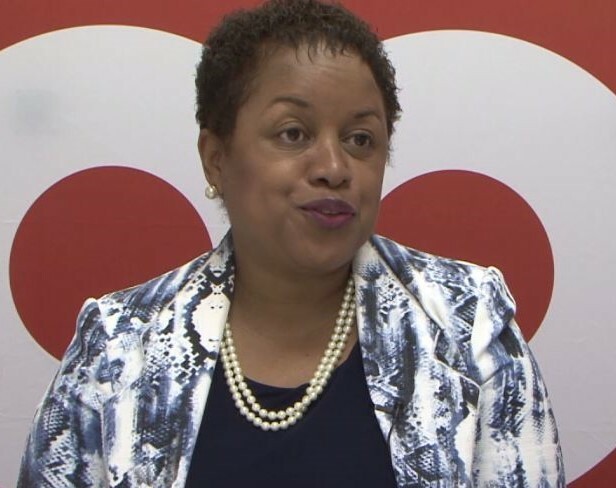 The irony is that according to Senator Allyson West, Minister in the Ministry of Finance, in a speech to The American Chamber of Trinidad and Tobago on Wednesday 4 October 2017 the tax gap, defined as the difference between tax actually collected and what should be collected is estimated at between 11 percent and 18 percent which turns out to be between TT$12 billion and TT$15 billion. She also estimates that the VAT gap is between TT$1.9 billion and TT$2.4 billion. Now we know that we have no choice but to pay VAT, but, it seems, much of the VAT that comes out of our pockets does not end up in the government’s hands. Do you have to wonder where it ends up? Senator West, fresh out of the private sector, a former Partner and Territory Tax Leader in the Tax and Corporate Services Department of PricewaterhouseCoopers (PWC), believes the tax gap to be as a “result of failure to collect taxes from the informal economy…” She goes on to target certain occupations as not bearing their “fair share of taxes.” Among those she included doctors, lawyers and insurance professionals, which occupations could hardly be classified as belonging to the informal economy. It is clear that the ruling elites take the masses for chupidees, who would accept any foolishness they put before us. We are now at the stage where we have no choice but to push back. We have to defend our interests - our jobs; our ability to mind our children; our ability to live a civilized lifestyle. Our strength is our numbers and our power over production...Think about it! A word of warning for Colm Imbert, who boasted that we haven’t rioted yet: be careful what you wish for. On 14 April 1937 the British Secretary of State for the Colonies William George Arthur Ormsby-Gore, 4th Baron Harlech, said “I understand that the majority of the people in Trinidad are very well satisfied with their present Government”. Nine weeks and three days later, the June 19th 1937 anti-colonial insurrection erupted and changed the face of Trinidad and Tobago forever!